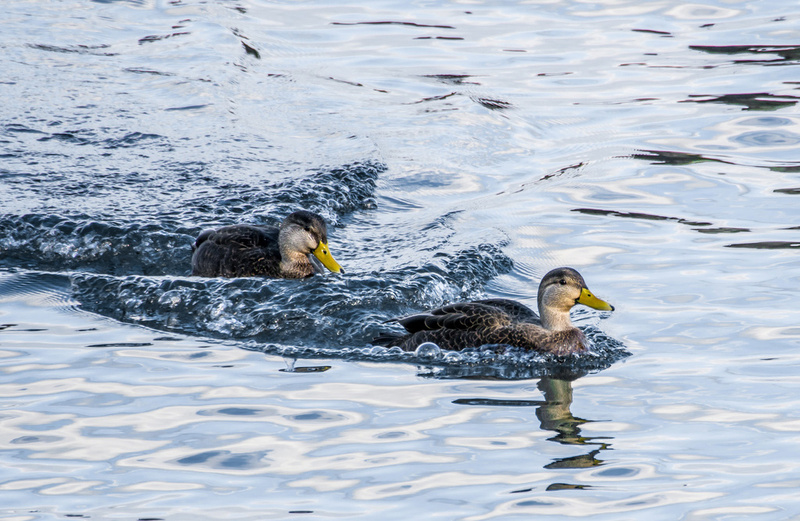 Adam Balsam watched a couple of ducks in the water of Boston Harbor yesterday. This is an American Black Duck couple, not Mallards. :-) quack, quack. This is good to know. Thanks. This is good to know. Thanks!